Powercast has just announced that its latest wireless charger to get certified by the FCC can deliver power to small, low-power gadgets at distances of up to 80 feet. Wireless charging at 3 feet sounds like a good deal for home users, and the solution by Energous that provides this capability will be shown at CES next month, but it will not be alone. Powercast is another company in this field, but its wireless charger promises an extra-long range of 80 feet. Although it looks like future tech at first sight when compared to Energous' accessory, the TX91503 PowerSpot Transmitter transmitter has also been certified by the FCC this month. Sadly, nothing's perfect, so it can only charge devices like smartphones or tablets at close range. The TX91503 name seems cryptic, but reveals two key figures for this accessory: it operates in the 915 MHz band and has a 3 W effective isotropic radiated power rating. 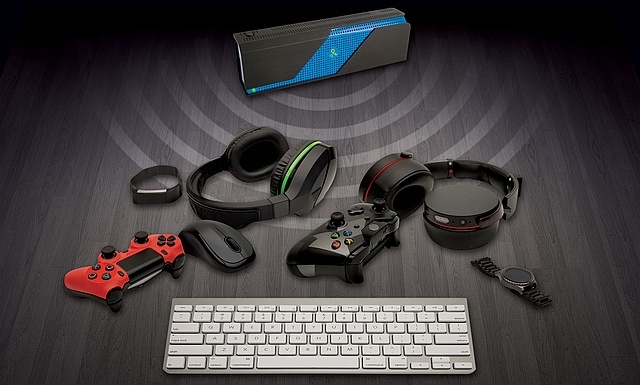 According to Powercast, the TX91503 can handle up to 30 devices, but the practical range when charging game controllers, mice, keyboards, or wearables is only 10 feet. To take advantage of the 80-feet range, the user should use the TX91503 to charge home automation sensors or other similar low-power devices. The best part about it is that both the US FCC and the Canadian ISED granted the certifications needed to hit the market. The first production units should be ready to hit the market in Q3 2018 for about US$100, but prototypes will be on display at CES 2018 in Las Vegas.